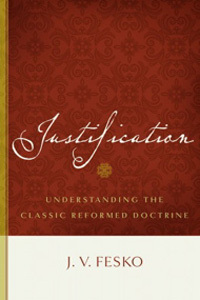 For anyone who is interested in understanding the Reformed doctrine of justification, I would really recommend reading J.V. Fesko’s book. I’ve been reading through it and it is great. It’s clear, cogent, and illuminative. Preferring light over heat, Fesko also offers considerable refutations to N.T. Wright and his understanding of Paul in the context of second-temple Judaism. Although Wright says a lot of true and pertinent things, (about both Paul and second-temple Judaism), Fesko points out how it’s not all that simple. I thought I’d offer you some quotations as well as my thoughts. Fesko then quotes J. Gresham Machen. Now, this distinction carries with it drastic interpretive consequences. As Geerhardus Vos was famous for pointing out, eschatology precedes soteriology. And it is no less the case when dealing with first-century Jews and Paul. As is evidenced all throughout the gospels, one of the things the Jews got wrong was their eschatology. Is it possible Write has overlooked this? What the Jews were looking for was not what Christ was looking for (or, rather, looking to do). How they read and interpreted the Scriptures was not how Christ and his disciples read and interpreted them. Thus the conclusions of second-temple Judaism regarding the covenant promises and their eschatological fulfillment would have been radically different than Paul’s. Paul had himself seen the risen Christ, and had tasted of the powers of the age to come. He would have had little in common with their base and carnal assumptions. There would have been a huge disconnect! 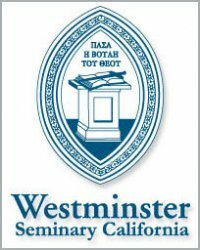 Rather than offering a disinterested correction, Paul’s eschatology would have stood in glaring and direct contradiction to that of first-century Jews. And although Wright seems to underplay this fact, the Jews were considerably concerned about salvation (or being saved) as well. But it wasn’t the kind of salvation Christ offered or Paul preached. And that was the problem! You diligently study the Scriptures because you think that by them you possess eternal life. These are the Scriptures that testify about me (John 5:39 NIV). Salvation, for Christ and Paul, was not about redemption from the hand of Roman oppressors. Fesko points out, “Paul shows no concern for what the enemies of the people of God might or might not think; Paul shows concern only for what God will say concerning the one who stands before his throne.” This can be grounded further in the gospels where Christ is constantly bringing to attention how the Jews have their eschatology all wrong, and therefore their soteriology as well. And do not fear those who kill the body but cannot kill the soul. Rather fear him who can destroy both soul and body in hell. (Mat. 10:28). Whoever feeds on my flesh and drinks my blood has eternal life, and I will raise him up on the last day (John 5:54). So, here we see the cosmic divergence. On the one hand are the Jews and their interpretation of the OT together with their understanding of the Covenant, Torah, and the eschatological fulfillment of the promises. On the other hand we have Christ, and his disciples, and their understanding of the Law and its fulfillment by Christ in the gospel. Needless to say there is an acute, and even critical, discontinuity between these two systems. Yet Wright doesn’t seem to get this. Or at least he downplays it into insignificance. And so, although he does get much of second-temple Judaism right, unfortunately he still gets Paul wrong. By highlighting and emphasizing certain ideas and themes over others, N.T. Wright ultimately creates false dichotomies that only distort the grand biblical message. Among various other errors, he sets second-temple Judaism up as a main interpretive grid against the rest of Scripture. In the end, his explanations are reductionistic, robbing the reader of the interpretive tools for making sense of the various (yet essential) biblical themes, and ultimately allowing to fall flat that very gospel message which is to bring life to the dead. Martin Downes on his blog Against Heresies talks about the deceitfulness of error and the need for Churches to have both a clear external expression of their faith (such as confessions) and a Spirit-wrought internal conviction of the truth. Great post here. Also, Tabletalk takes on the New Perspectives on Paul. If you’re familiar, curious, or confused about the NPP or N.T. Wright, here would be a good place to start reading.